Explanation: What spooky planet is this? 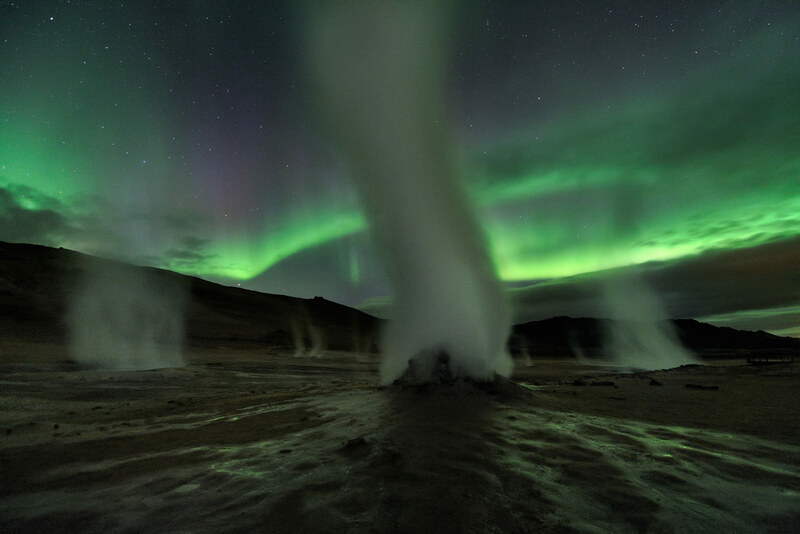 Planet Earth of course, on the dark and stormy night of September 12 at Hverir, a geothermally active area along the volcanic landscape in northeastern Iceland. Geomagnetic storms produced the auroral display in the starry night sky while ghostly towers of steam and gas venting from fumaroles danced against the eerie greenish light. Tonight, there is still a chance for geomagnetic storms triggered by recent solar activity, so high-latitude skygazers should beware. And ghostly shapes may dance in your neighborhood, too. Have a safe and Happy Halloween!